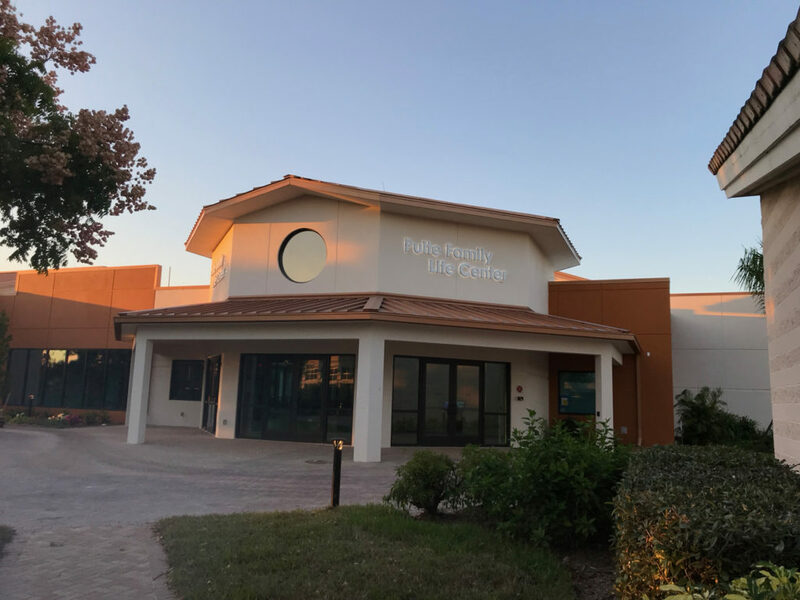 Please join us for the Opening Ceremony and Blessing of our brand-new Pulte Family Life Center on March 16, 2019. The ceremony will start at 2 PM, with Mass in the Gym at 3PM and a reception to follow. Come learn more about this exciting and enlivening space that is already transforming Catholic engagement in the area with the arts, sports, wellness, social programs and so much more. Bishop Frank Dewane will bless our building and celebrate Mass with us, and we will dedicate the building to the memory of Bill Pulte and his family, who shepherded our vision for Catholic Youth Organization, Catholic Adult Organization and so much more. Stay after Mass for food and drinks in the 5 Saints Café (named for the 5 patron saints of beer) and tours of the building that has become a beacon of activity for our Parish Family and the community.